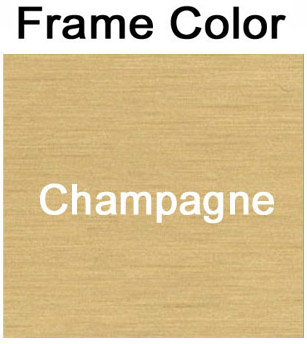 Our sliding door wall displays are constructed with a solid oak framework and an attractive brushed champagne trim for a first class appearance in any institution or business. These handsome wall-mounted cases are ideal for high traffic areas, extending only four inches from the wall (2-1/2" of interior depth). 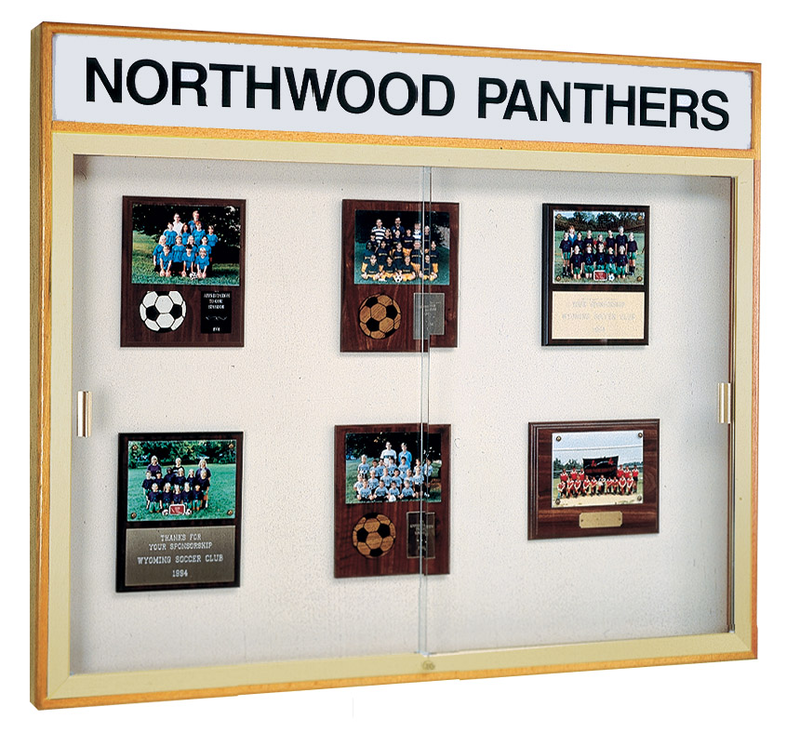 The illuminated header panel creates an attention-grabbing display. 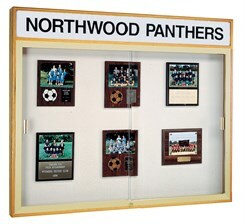 Specify your wording for panel insert when ordering. Available in either cork or velcro-compatible plaque background (shown) for posting plaques, ribbons, citations, awards and announcements. Sliding doors are tempered glass for safety and include a built-in lock. Measures 50"W x 4"D x 42"H overall. Shipping weight 147 lbs. PRICE INCLUDES SHIPPING! (Truck shipment - see Terms & Conditions). Please allow 2-3 weeks for delivery.